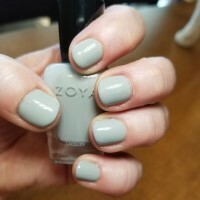 Dove by Zoya can be best described as a soft, delicate light neutral gray with an opaque, glossy creme finish.Unexpected and flattering as a wear-with-anything neutral with a twist. 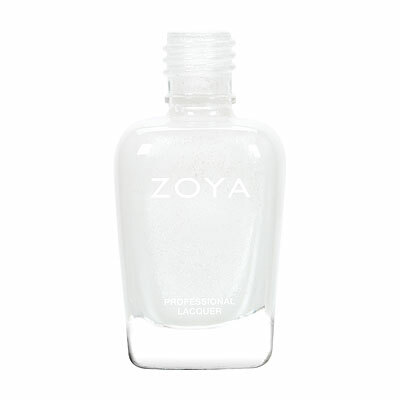 Dove is a soft, cloudy grey with a gently luminous creme finish. 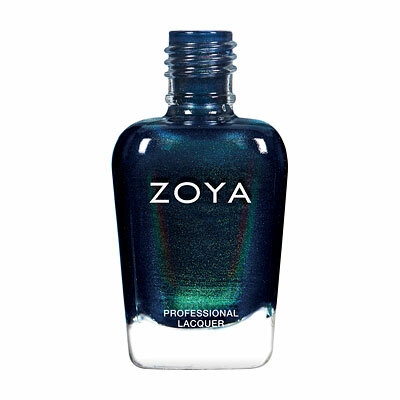 The formula was unexpectedly thin and watery; I needed three coats for opacity. It would make a striking French manicure. 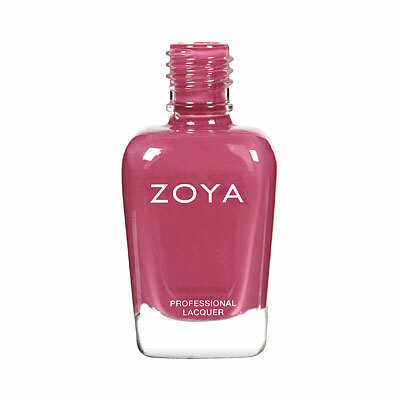 Zoya Nail Polish | DoveLove this color! It lasts a week for me with no top coat. It`s a very light grey, and looks very nice. I have a medium-olive tone skin. It goes on very smoothly, and I apply 2 coats. this color is a nice taupey gray against my pale, pinkish, translucent skin. i like it as a neutral that i could wear to work. i actually needed 3 coats for opacity, unlike some other reviewers. i think i`d only wear this in spring and summer because like other reviewers mentioned, it could look a little too corpse-ish in cloudy or gray weather. 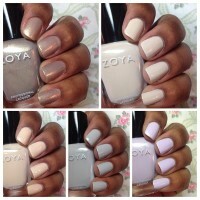 looove zoya polishes. they wear great. Dave however was more in the cool tone family than i expected and hoped for. 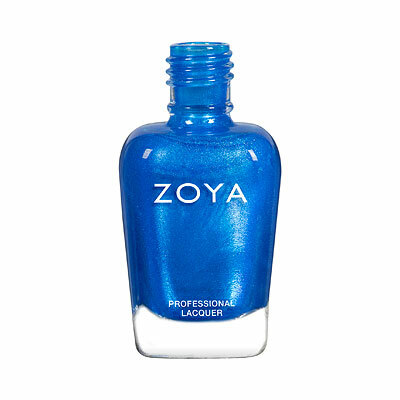 it is a lovely shade and just as great quality as other zoya polishes but definitely looked a bit blue/lavender on me. not my favorite, but if cool tones work on you, it`s great. I love Dove. It was opaque in 2 coats. Only thing about it is that it sometimes come off as a blue-grey in certain lighting. I am not a neutral kind of girl, but when I am in the mood for one, I like Dove best of all! The name is a perfect name...if you have ever watched a Mourning Dove, this color IS that. 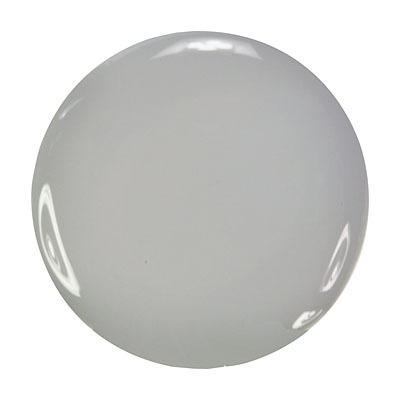 It`s a light, very pretty gray w/ a hint of taupe. I just love it when I`m in the mood for a neutral. I`m torn between Freja and Dove, but they both have their places - I wear Freja more in the summer, Dove more often in winter. Both beautiful. Lots of compliments on both. I`m not really impressed with this one. I have fair skin and as a medium skinned reviewer mentioned, this color also looked very dead on me. Muted and flat cool gray. I think you would do justice to this color with a short manicure. True to color with 2 coats. Not really a favorite for me, definitely not a repeat purchase. I really liked Dove more than I thought I would. The grey cream is definitely unique and I really like it on my toes. It`s a very muted and relaxed color. 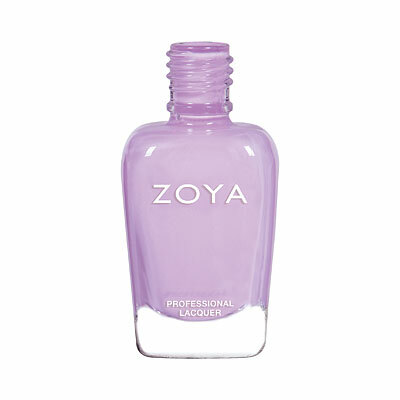 Zoya Nail Polish | DoveI`m stunned. Looks gorgeous. I got Dove as a free color and I expected to hate it. I am just not a gray fan. Well, Dove has completely won me over. It`s a very soft, warm gray that seems to go with anything I wear. I will wear this again, and again. 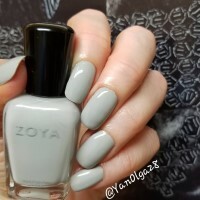 This is the 2nd colour from Zoya I`ve tried, and though I`ve decided that a grey creme polish doesn`t quite suit me, I`d say that if you like the colour in the pic, you`ll like this. Mine appears slightly darker on my nails, but I think this may have to do with my colouring (very fair, pink undertones). It just doesn`t look "soft" on me. Longevity is great; not quite as long as my first Zoya polish but I think this may be due to the fact that I did the basecoat (Anchor), 2 coats of polish, and then the topcoat (Armor) all in quick salon fashion, with no drying time inbetween. I then used the Qtica Half Time Drying Accelerator (which is also fantastic). Opacity is achieved completely in 2 coats; however, if you`re short on time or just don`t want to, coverage is great with only one coat, and if you put it on a little thick, it`d be almost opaque. 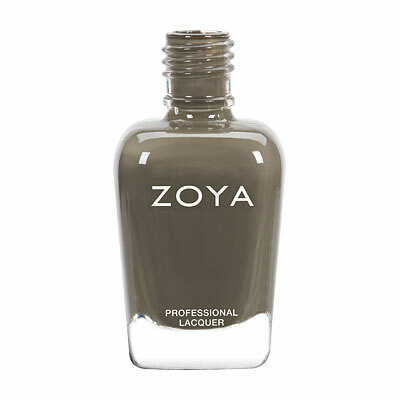 Zoya Nail Polish | DoveA timeless classy color. This is a color for all seasons. I had my eye specifically on this one and Jules when I first saw the Intimate collection but ended up buying the entire set during the Intimate promo last month. Sure enough, I love this color as much in person as I did from the swatch. It`s he perfect shade of grey - not too dark and not too light. I love cremes, so I`m obviously delighted that this grey is a creme formula and doesn`t have anything (glitter, shimmer, metallic sheen,etc.) to take away from it`s mesmerizing color. My only complaint is that it didn`t apply as smoothly as I expected. It was a bit messy to put on and I messed up a couple nails and had to do double takes for those. The consistency is on the thick side, making it a little tricky to work with. But the shade is to die for, so that`s the redeeming factor!